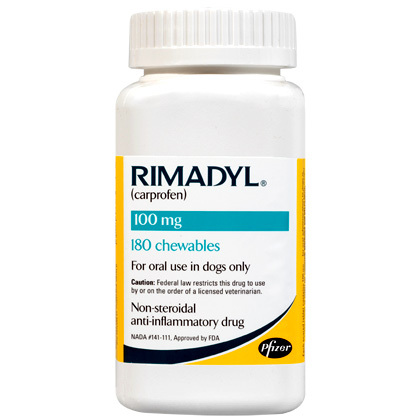 Rimadyl (carprofen) controls your dog's pain whether caused by surgery or arthritis. Rimadyl is a 24-hour, non-steroidal anti-inflammatory drug (NSAID) that is administered once a day. It provides safe and effective relief of pain and inflammation due to canine arthritis, orthopedic and soft tissue surgery.